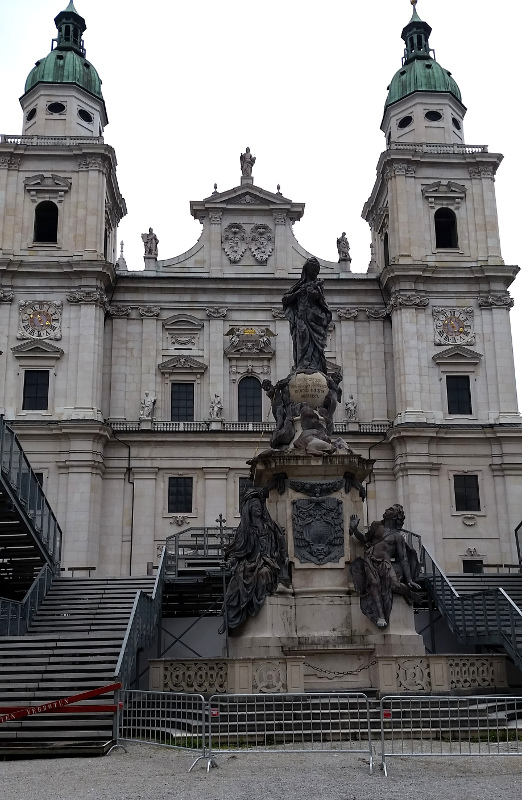 The cathedral facade is made of Untersberg marble and has twin towers on either side with curved gables. The facade is divided into three sections; there are three large arched portals with bronze doors. 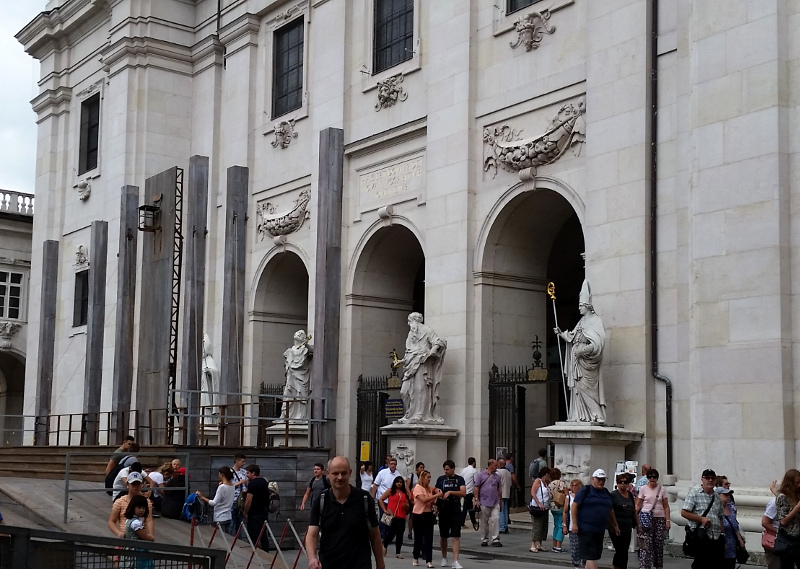 Statues stand between the doors, a sculpture of St. Rupert holding a salt barrel in reference to Salzburg's connection with salt mines; St. Virgilius holding a model of the cathedral; St. Peter holding keys and St. Paul holding a sword. 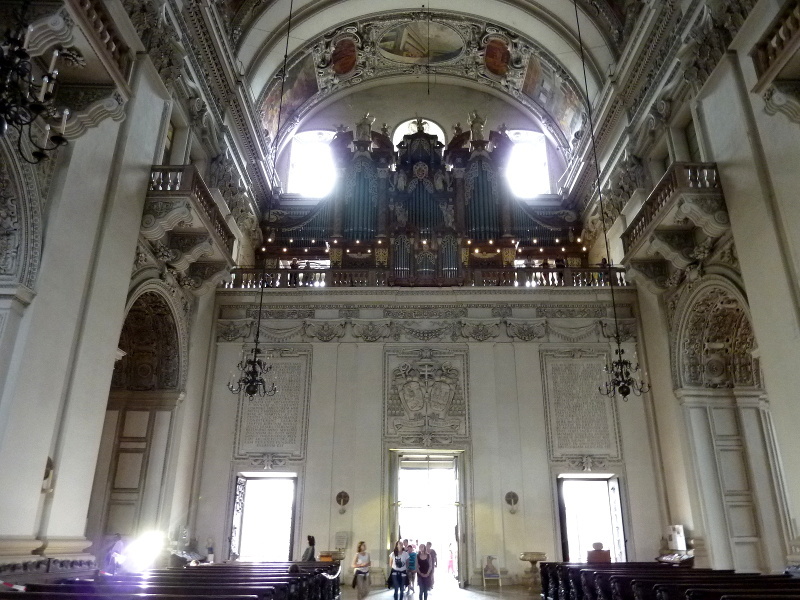 Near the entrance to the cathedral facing the altar and main dome. 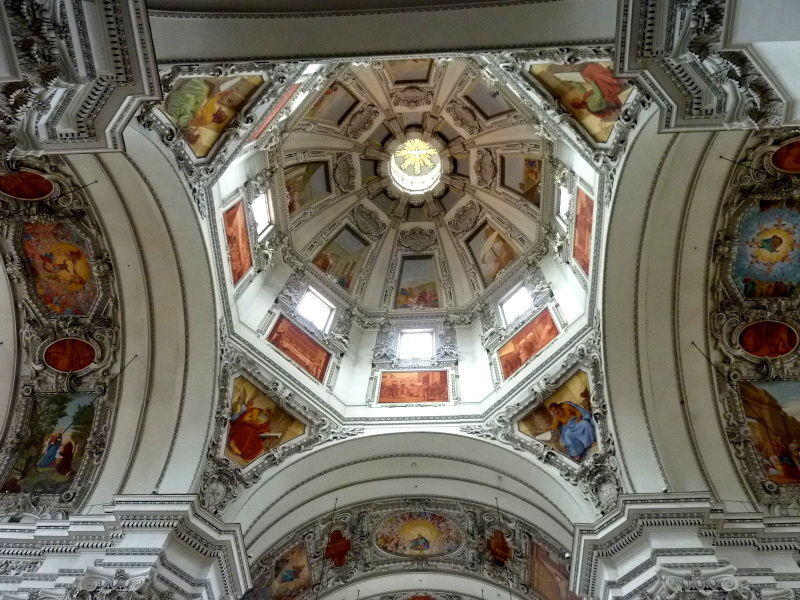 The main dome of the cathedral. 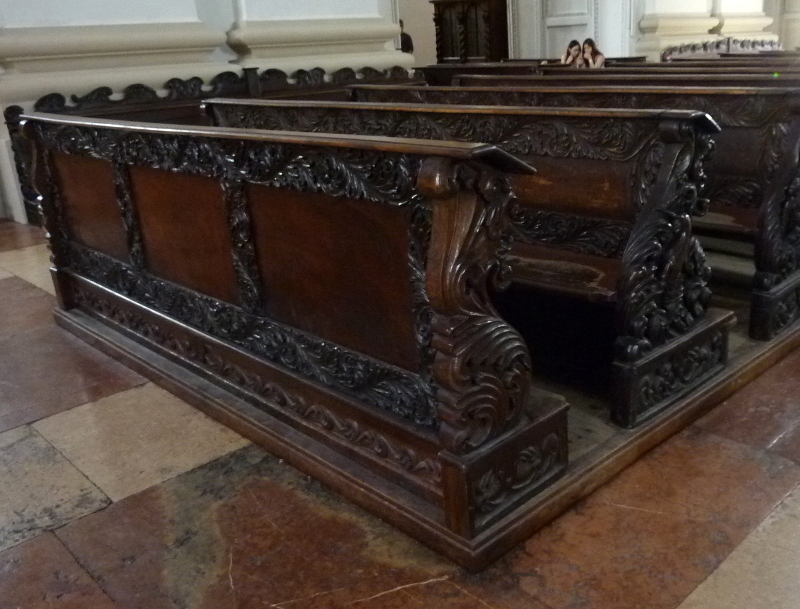 Intricately carved pews in the Salzburg Cathedral. Facing the entrance to the cathedral with the main organ above. 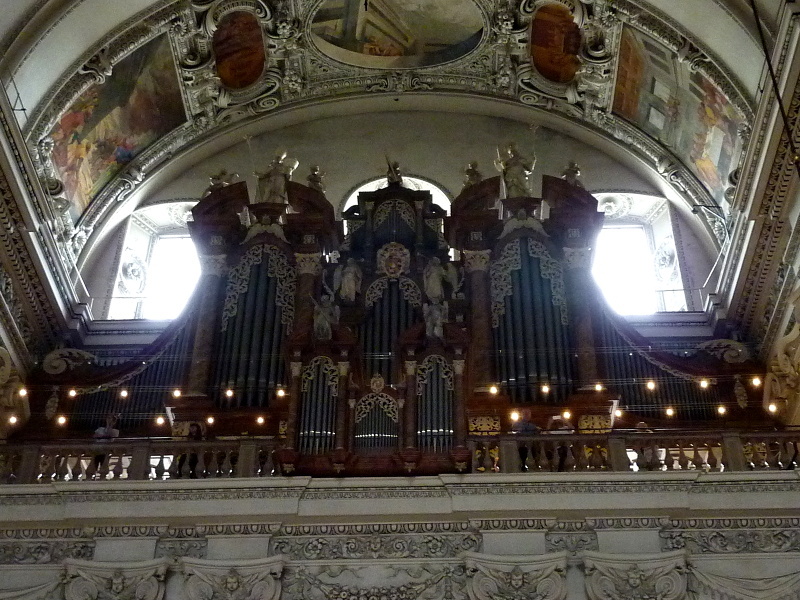 The majestic main organ, surrounded by angels playing instruments and crowned by St. Rupert and St. Virgil. 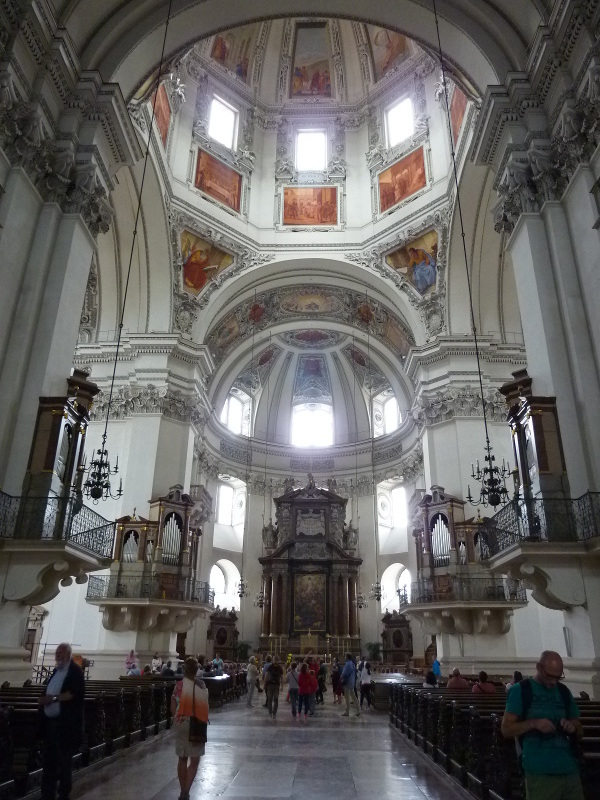 In his capacity as the cathedral's organist and concert master, Wolfgang Amadeus Mozart composed numerous undying works of sacred music for Salzburg.